While Israel uses "administrative detention" as a tool to thwart terrorism, the Palestinian Authority (PA) leadership holds people without trial as a means to silence them and prevent them from voicing any form of criticism against Mahmoud Abbas and other Palestinian leaders. While administrative detainees in Israel are entitled to see a lawyer, receive family visits and appeal against their incarceration, the Palestinians detained by the PA are denied basic rights. Yet, Israel-obsessed human rights organizations seem uninterested in this fact. Particularly disturbing, however, is not that the PA leadership is acting as a tyrannical regime, but the abiding silence and indifference of the international community and human rights organizations. Those who scream bloody murder about Israel's security measures against terrorism would do the Palestinians a better service by opening their mouths about how human rights are ravaged under the PA.
For many years, Palestinians and their supporters around the world have been condemning Israel for arresting suspected terrorists without trial. It turns out, however, that the Palestinian Authority (PA) also has a similar policy that permits one of its senior officials to order the arrest of any Palestinian, regardless of the nature of the offense he or she commits. Israel holds suspected terrorists in "administrative detention" on the basis of laws such as: Israeli Military Order regarding no. 1651 Security Provisions, Incarceration of Unlawful Combatants Law and Defense (Emergency) Regulations, a law that replaces the emergency laws from the period of the British Mandate of Palestine (1920-1948). It is worth noting that Israeli citizens, and not only Palestinians, have also been held in "administrative detention" over the past few decades. This means that Israel does not distinguish between a Palestinian and an Israeli when it comes to combatting terrorism. While the campaign against Israel's "administrative detentions" has been going on, the Palestinian Authority has been, according to Palestinian human rights activists and lawyers, conducting unlawful and arbitrary arrests against its own constituents. Once again, the double standards of the Palestinians and their international supporters have been exposed. For more than a decade, the PA has been detaining Palestinians without trial for up to six months -- on the basis of an order signed by one of its senior officials, usually a governor appointed by PA President Mahmoud Abbas. But while Israel uses "administrative detention" as a tool to thwart terrorism, the Palestinian Authority leadership holds people without trial as a means to silence them and prevent them from voicing any form of criticism against Abbas and other Palestinian leaders. The PA argues that its "administrative detentions" are being conducted within the framework of the law and as a preemptive measure to safeguard public safety and prevent violence. While administrative detainees in Israel are entitled to see a lawyer, receive family visits and appeal against their incarceration, the Palestinians detained by the Palestinian Authority are denied basic rights. Yet, Israel-obsessed human rights organizations seem totally uninterested in this fact. How, then, do the Palestinian Authority's "administrative detentions" work? According to Palestinian human rights advocates and lawyers, a Palestinian governor or senior official is authorized to issue arrest warrants against any Palestinian for any reason. Although it remains unclear on what basis PA governors and top officials are entitled to order arrests, some legal experts say they believe the practice is based on a 1954 Jordanian law that is still in effect in the West Bank. Experts say that although a Jordanian court abrogated the law many years ago, the Palestinian Authority continues to use it against its own people. Palestinian lawyer and former judge Daoud Dirawi said that the practice of detaining Palestinians on orders of Abbas's governors and top officials was "illegal" and "unconstitutional." He pointed out that the Palestinian High Court of Justice has ruled against the practice. "Unlawful incarceration is a crime punishable by law," Dirawi explained. "Anyone affected by this practice is entitled to sue for damages. This is one of the most dangerous assaults on public freedoms." The Palestinian Center for the Independence of the Judiciary and the Legal Profession (Musawa), says it has received many complaints from Palestinians about the unlawful detentions by the Palestinian Authority. Noting that the detentions were "unconstitutional" and constitute a grave violation of human rights, Musawa said that governors and senior officials do not have the power to order the arrest of anyone. Last year, the Faculty of Law at An-Najah University, the largest Palestinian university in the West Bank, held a seminar dedicated to the Palestinian Authority's "administrative detentions." Dr. Muayad Hattab, dean of the faculty, said that most Palestinian legal experts agreed that the detentions without trial were in violation of the Palestinian law and constitution. He too pointed out that Palestinian courts had repeatedly ruled against the practice of holding people without trial. Palestinian lawyer Ala Al-Badarneh, who conducted a study about the Palestinian Authority's "administrative detentions," found that most of the detentions were carried out without the knowledge of the governor or the senior Palestinian official in whose name the detention was carried out. "Detaining people on orders of the governor sometimes occur without the knowledge of the governor," Al-Badarneh said. "Even when the governor is made aware of the detention, the detainee is not brought before the governor. The governor often denies knowledge of the detention when asked by the families. Jordanian law stipulates that when someone is detained on orders of the governor, he or she must be brought before the governor. But this is not what is happening with those who are being detained without trial by the Palestinian Authority." Al-Badarneh also noted that the Palestinian "administrative detainees" were being taken into custody on the basis of assessments by the Palestinian security forces, without referring to the party that purportedly ordered the arrest: a governor or senior official. In some cases, the Palestinian governors and senior officials, who have turned themselves into law-enforcers, resort to "administrative detentions" to circumvent implementing court orders. A court, for example, can order the release of a detainee, but he or she can still remain behind bars if a governor or top official signs an arrest warrant. Take, for instance, the case of Mahmoud Asideh of Nablus, the largest Palestinian city in the West Bank. 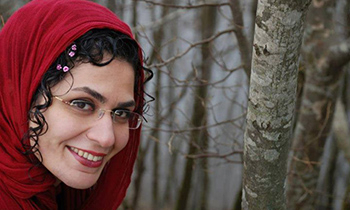 After 37 days in detention, a number of Palestinian courts ordered Asideh released. To avoid implementing the courts' orders, however, Palestinian Authority security forces served him with an arrest warrant signed by the governor of Nablus. Another detainee, Anas Judallah, also from Nablus, was held in detention on orders of the Nablus governor although a Palestinian court had decided to release him. In 2016, Palestinian journalist Ragheed Tabasiyeh was detained for 17 days on order of the governor of the West Bank city of Kalkilya. Tabasiyeh said he was interrogated about the nature of his journalistic work and the party he was working for. He was finally released without bail or charges. In December 2017, Palestinian human rights groups received complaints from seven Palestinians who said they had been detained without trial on the orders of a governor. Two of the detainees have since been released, while the remaining five are still being held without trial. Palestinians say that the PA is using "administrative detentions" mostly as a tool against its political opponents and to silence critics, and not as a precautionary measure to prevent a crime, as the Palestinian Authority claims. "How can he who is at the helm of the Palestinian Authority and is breaking the law ask his people to abide by the law? The violation of the law by anyone is unacceptable. Detaining any person on orders of the governor or a senior official is a crime punishable by law." Thus, we have yet another example of how the Western-funded Palestinian Authority makes a mockery of its judicial system and continues systematically to violate human rights and wage assaults on public freedoms. In a world where any of Abbas's senior officials can sign an arrest warrant against a Palestinian, the Palestinians can only continue to dream of having a country of law and order. Particularly disturbing, however, is not that the PA leadership is acting as a tyrannical regime (this is absolutely expected by those familiar with the inner workings of Abbas and his loyalists), but the abiding silence and indifference of the international community and human rights organizations. Those who scream bloody murder about Israel's security measures against terrorism would do the Palestinians a better service by opening their mouths about how human rights are ravaged under the Palestinian Authority. It's horrible that Abbas and his goons can get away with this! Shame on the so-called human rights organizations for turning a blind eye to it! No surprise at all. Why would anyone expect better from these totalitarian hateful nutters? The PA is the PLO with suits. Same band of murdering terrorist extortionists legitimised. The totalitarian mindset is indeed baffling. In the 1960's we used to call people who have that mindset "control freaks". It seems to be a psychological problem, and the people who have it seem beyond help. Some have suggested that it may stem from profound feelings of personal insecurity and inferiority leading to a need for total control of one's environment. From this position, negative emotions such as envy and hate can fuel the desire for aggression against perceived "enemies". Abbas seems to fit this profile. The Palestinians need to be set free from this unworthy leader. To me, administrative officials issuing arrest warrants gives me the chills. Law enforcement officials are mandated to enforce the law. The Court is implicated if Law Enforcement are enforcing the law. This protects individuals from abuses by civil authorities. How is this any different in some other revolutionary Islamic states where criticism of the government may be construed as criticism of Islam? How is it any different than despotic one party socialist states for that matter and perhaps in most instances a more fitting comparison? While the PA would appear to be modeled after a national socialist despotism it is competing with Hamas following the model of Islamic national socialist despotism. 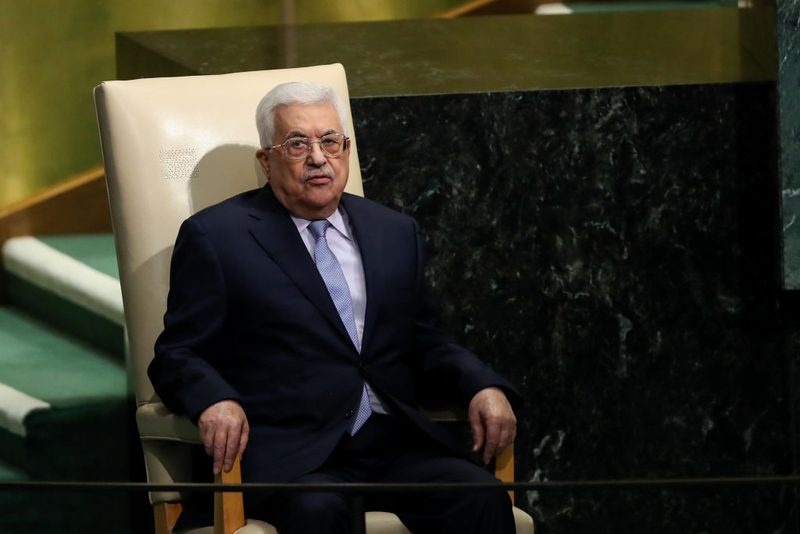 What else can one expect from the so-called Palestinian Autority — some Autority — and the ignorant, Mr. nobody, Mahmoud Abbas. Thank you Mr. Khaled Abu Toameh — at least someone speaks the truth. And thank you Gatestone.